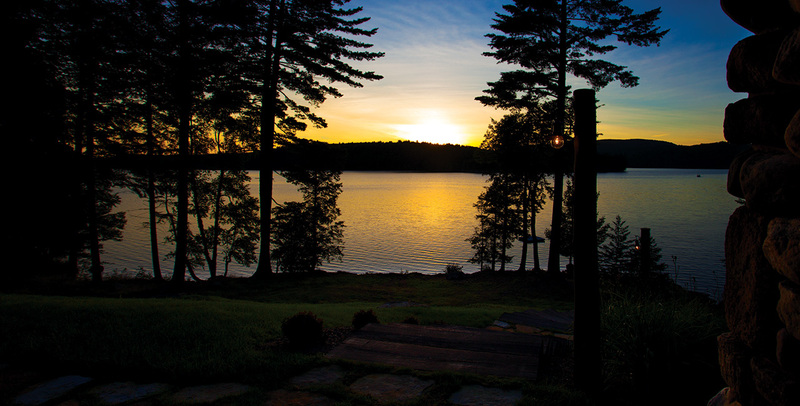 A spectacular lake front location of 20 gated contiguous acres on Big Tupper Lake. The overall density of development on the lake is lower than any of the others in the Tri-Lakes, guaranteeing a peaceful existence on a pristine 10-mile lake. The property has 850 feet of waterfront complimented by a 3 slip boathouse with deck, a beach and deep waterfront. The 10,000 sq. ft. lodge built in elegant rustic style takes in dramatic views of open lake and enjoys extended daylight with western exposure. The post and beam Great Hall has bookend stone fireplaces and is adorned with numerous patio doors and diamond paned windows. The bedrooms sleep 16, and the baths are all A grade finishes. This chefs kitchen has a full Viking suite, vaulted ceiling, double wide island and opens onto an enormous screened-in porch. Whether you’re seeking a respite for a couple or generations of family and friends this property is equipped to the maximum for your enjoyment. There is no detail left to tend to. The high end furnishings as well as Cobalt boat and water sports equipment are included.